third quarter 2018 classroom cup ceremony! the third quarter has come and gone and it's time to celebrate before we start over again! as you may know, we have been keeping a tally of how many assignments were completed throughout the quarter. each assignment a student completed earned him or her a point for their classroom. now we are here to announce the winner of the most points for the quarter! in fourth place, the bouncing bunnies earned 6 points! in third place, the busy bees earned 9 points! in second place, the prancing ponies earned 12 points! 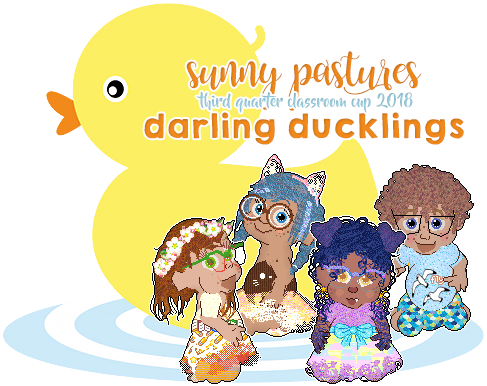 and that leaves the darling ducklings in first place with a total of 17 points! 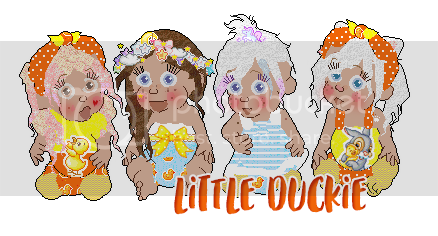 congratulations to our darling ducklings: Amylou 🌵's genevieve, Cheryl ツ's nash, Helen 🌸's pippin & 𝒮mokey ❧'s mimi! remember to go claim your winners badge if this is your first time winning in the duckies class! you have also won yourselves this exclusive miniset to remind you of your victory! the set will be PMed over in a few. a big thank you to all the students who submitted their work and to our wonderful teachers! see you in the new quarter! Thank you so much for this. The graphic is so adorable too. Thank you for the adorable banner and set!